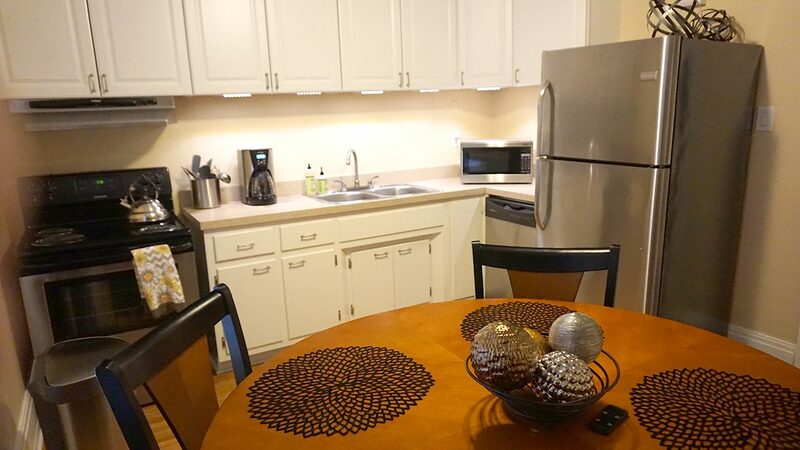 Standard Amenities Smart Television, Central Air Conditioning and Heating, Clothes Dryer, & Washer, WiFi, Linens and Towels, One Off Street Assigned Parking Spot, Iron & Ironing Board, and Cleaning Tools. 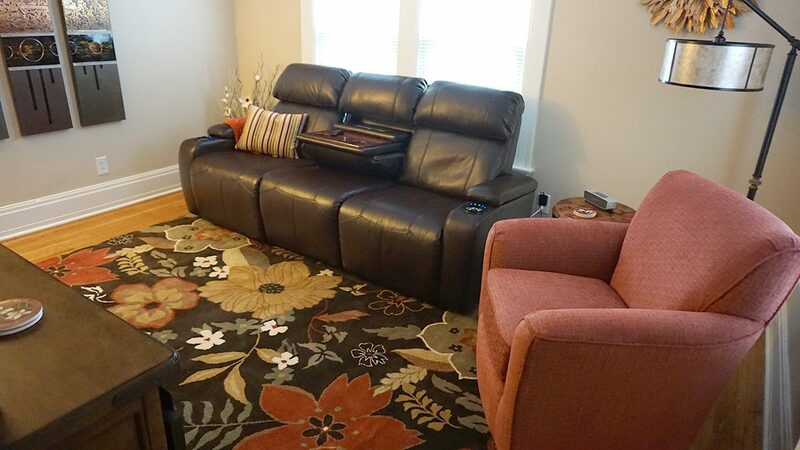 Wood Floors with Area Rugs throughout the Apartment and all Rooms come with Window Treatments. Living Shared patio with outdoor eating area and barbecue. Beverly Street Executive Quarters has recently been updated and is the second floor of a two-unit house with a separate entrance. 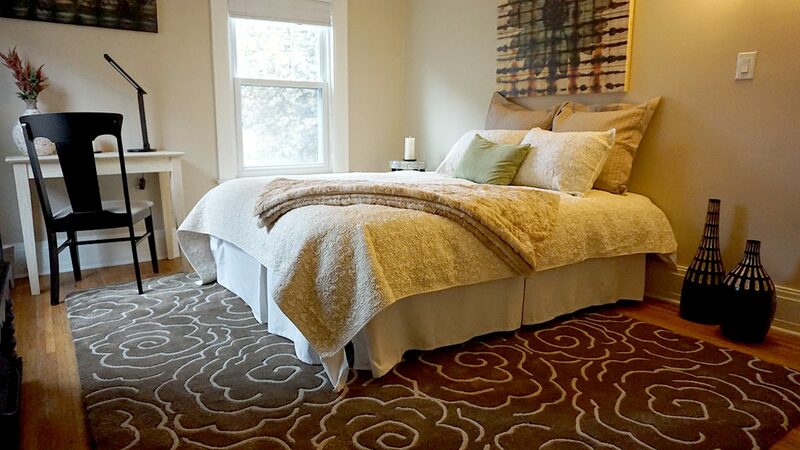 The accommodation is located in one of the most beautiful areas of the city (the ABC Neighborhood) with an array of older, well-kept homes dating from the turn of the century. 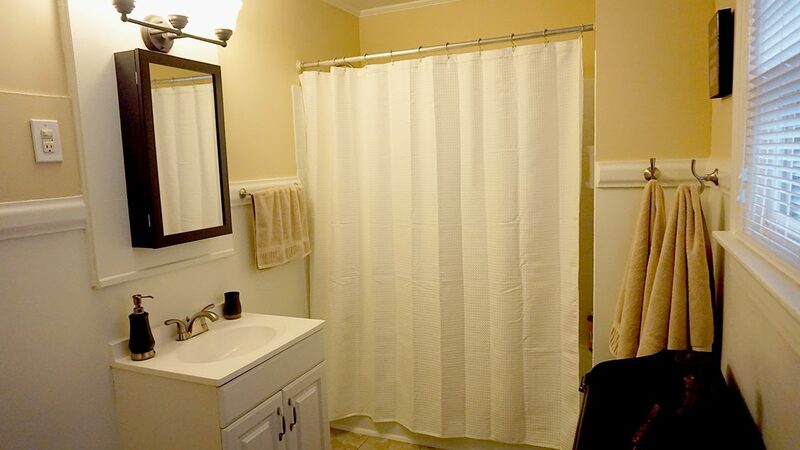 This completely renovated unit is 2BD/1BA and is approximately 1,000 square feet in size. 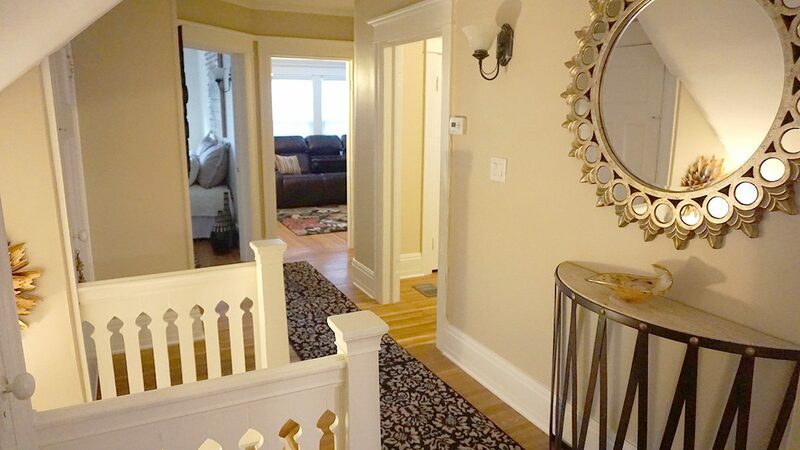 Beautiful furnishings and decorative accents in every room accent the gleaming hardwood floors and plush area carpets. There are a washer and dryer in the unit as well as central heat and A/C. Wifi and satellite television provide connectivity and entertainment, and there’s plenty of room to spread out and enjoy a comfortable stay. The neighborhood is a mix of young professionals and empty nesters. Nearby, there are many shops, restaurants, bars and a significant night-life where you can while away the hours. 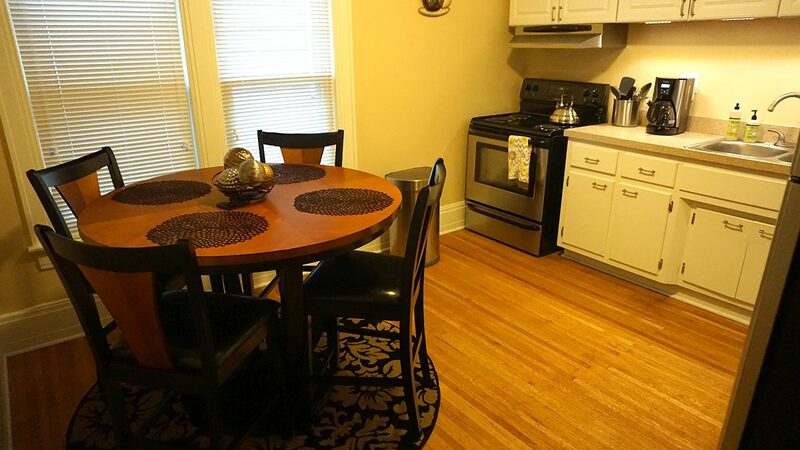 Any convenience you may be looking for is right around the corner, and many of the cultural institutions (Memorial Art Gallery, Science Museum, Planetarium, George Eastman Museum, etc.) and other East Avenue and Park Avenue amenities are within a comfortable walking distance. 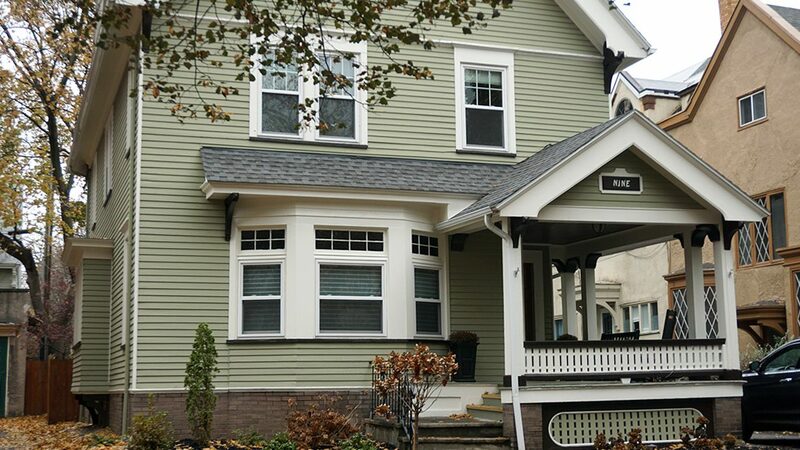 Beverly Street Executive Quarters is ideal for individuals looking for a spacious place to call home whether for a short-term or extended stay while visiting Rochester.